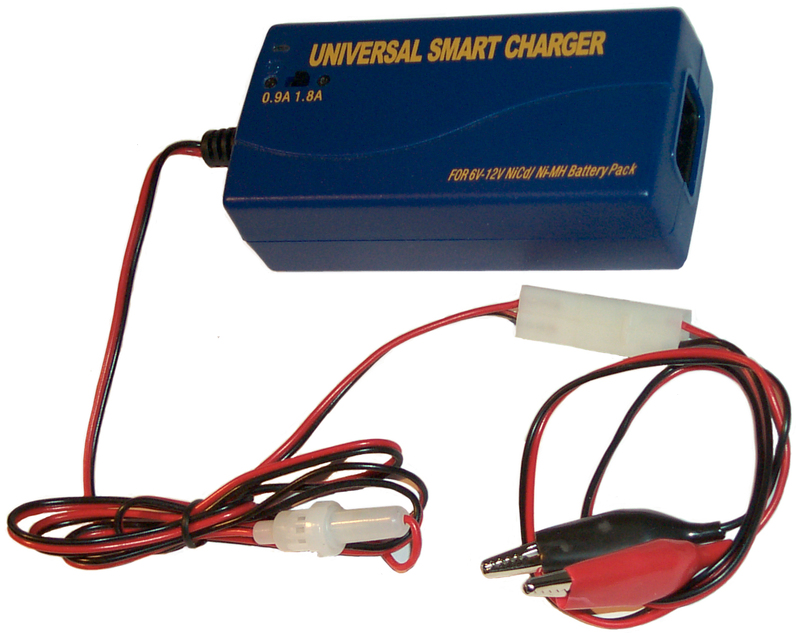 This Universal Smart Charger from Battery Space is for charging Ni-Cad or Ni-MH packs in the 6 to 12 Volt range (5 to 10 series cells) which is just right for charging one of the strings in a 5590BA or 5590BAv2 Battery adapter. The charging current is selectable at 0.9 or 1.8 Amps. It's powered from a standard IEC line cord with either 110 or 240 VAC 50/60 Hz. It senses minus delta V for charge termination. They now have a number of Smart Chargers that include a temperature sensor, some (24 V or higher) would be good canidates for the 5590BAv2. This chrager utilizes a micro controller to manage the charging. It's marked FHP5830 and there appars to be a watch crystal near it on the top side of the PCB. Set the switch for the current, connect battery and connect AC line. There is no themperature sensor so it should not be used unsupervised. The batteries are warm but not hot when it's done, which is a good sign it's working properly. It may be a "burp" type charger. The LED starts off red to indicate fast charging and switches to green for float charge. When bringing cells out of storage or receiving new cells they need to see a break-in where they are charged (using the 0.9 Amp range), then discharged, then charged again to get them going. With this charger that's going to be a manual procedure, but it will work. page created Nov 3, 2007.